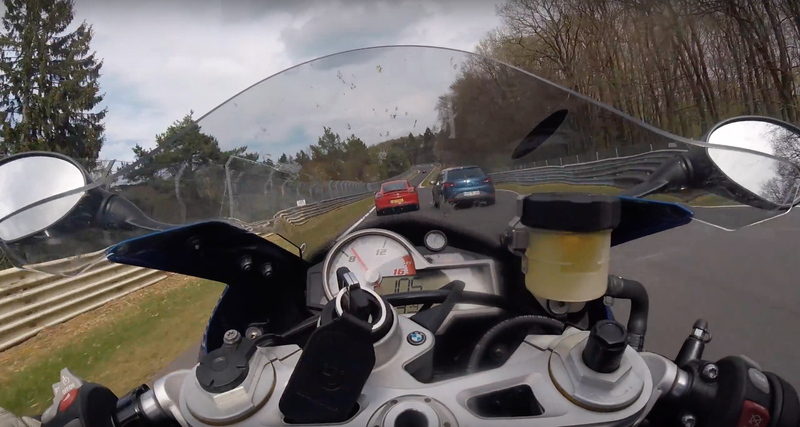 Taking to two wheels on the ‘Ring would be a frightening prospect even if it were empty. But a man with obviously much larger testes than myself took to racing a BMW S1000RR around at ridiculous speeds during an open track day. Impressive enough is this bikers control in the bends, but the way he saves it after being hit by a car at just over a tonne is super-human. This entry was posted in Motorbike, Video and tagged Motorbike.